Intelligent, Innovative control with ZoeHome. Save up to 30% with smart control of your home. Create the perfect ambiance with complete lighting control. Take control of your home to create the perfect atmosphere. Feel safe and well informed even when you’re away. 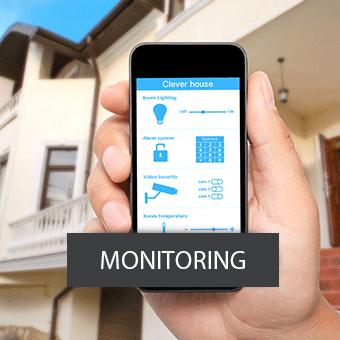 Monitor and control your home via mobile. Take a deep breath and relax with ZoeHome. Control and monitor your ventilation anytime, anywhere. Know your energy use; control your spending. Monitor your consumption to see where your money goes. Our mission is to make your life more comfortable and joyful, while we help you to save money and indirectly reduce your carbon footprint. We develop smart technical solutions for everyday problems and tasks you may need to take care of everyday around your home or office. This allows you to spend more time doing the things you want to do. Control your heating and cooling system wherever you are, or let ZoeHome do it automatically for you when you are not at home. Never was it easier to turn on/off and dim your lights as with Zoe Scientific. Remotely switch on/off any appliance within you home using ZoeHome. An extra eye for when you are away. Let’s make your home safer with Zoe Scientific's monitoring system. Control your ventilation system using ZoeHome. We cater for both active and passive systems. Easy access anytime, anywhere. Control access to your home with Zoe Scientifics smart door locks. Water, electricity and gas and more. Take control of what you consume with ZoeHome. Control and monitor you solar system using Zoe Scientifics control platform. Our colleagues are always ready to help you!